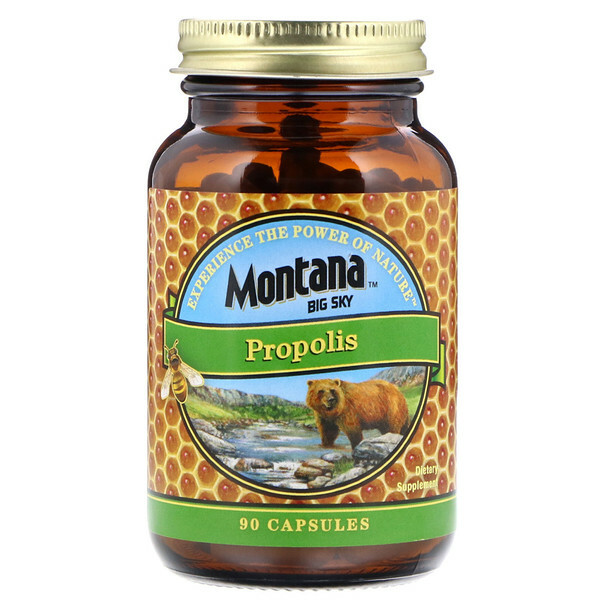 Discussion: Bees use propolis to line the hive and protect it from mold, mildew and microbial contamination. Propolis also contains naturally occuring vitamins, minerals and antioxidant bioflavonoids. Rose hips are a natural source of antioxidant vitamin C.
Use only as directed. 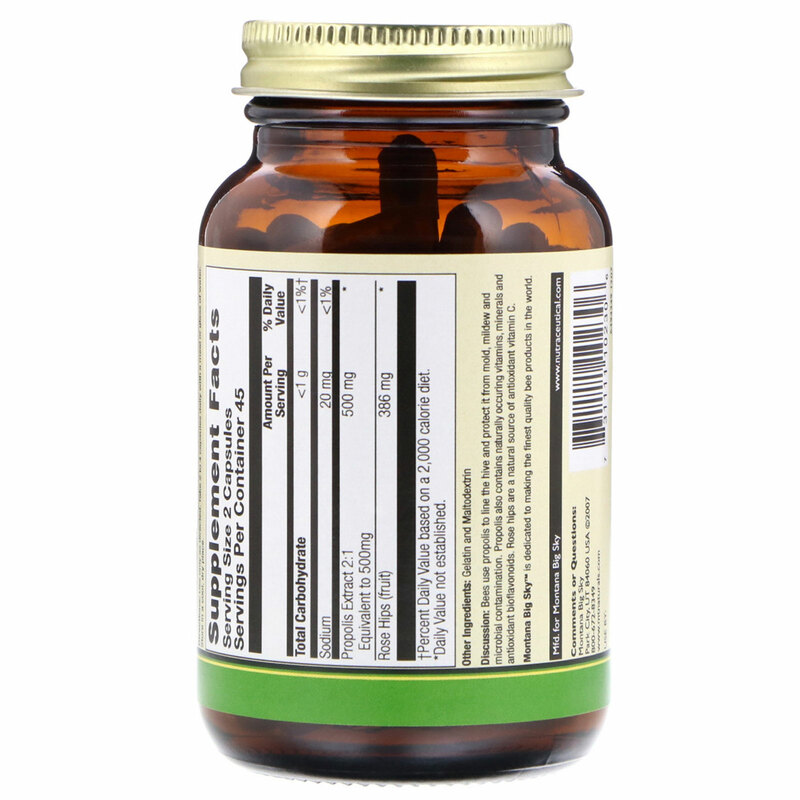 Take 2 to 4 capsules daily with a meal or glass of water.